An efficient online marketing strategy is quite important in order to take your business to the next level. 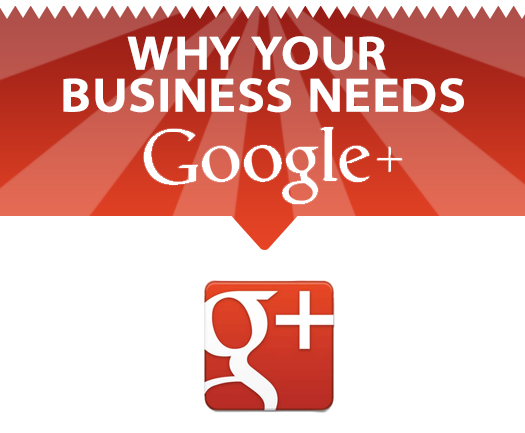 Moreover, when it comes to the online marketing, one can’t just ignore the power of Google+. Google+ has come up with massive feature sets, and more focused to provide users with a great platform to boost their business significantly. Google+ is another social networking site where you can share your ideas. Here, you would find people sharing thoughtful posts and ideas. You cannot just compare Google+ with Facebook. If Face book is the king of social networking, Google+ is the king of social marketing. To make your Google’s social network actually work for you, you will need to put some efforts. Relax, it is not a challenging task anymore and would possibly pay you off at the end. In the following article, we’ll try to outline the important things that you’d need to do with your Google+ network in order to boost your business. In Google+, you can create a number of circles and add users into these circles. It is very important tool to consider. You can create multiple unique circles, which are supposed to follow specific contents. You can generate and post specific contents to specific groups or circles. You can easily follow different interests with the help of different circles. For instance, if you’re running a company, you can create circles depending on different activities or departments of your company. You can create circles for Sales & Services, Production, and Support and so on. Within such specific circles, what you need to do is to post the relevant content, which is targeted for those circle audiences. Well, in Google+ you will find thousands of communities and groups, where many people will show genuine interest in you and your business. Explore and join the communities that are best suitable for you. However, take some time. Do not just start talking about your product or business right away. Firstly, let the users know that you are there. You could do this by engaging yourself with users in that group or community. Create a good relationship with them and then Start Promoting Your Product or Business. Rather than relying on Google+ solely, you will need to link up the main and focal contents of your company blogs, company broadcast etc, to your Google+. Google+ gives unique platform for your drive-by postings. Your audiences on Google+ can actually see the contents in a minute-to-minute update fashion. Google’ hangouts service is simply the best to connect with people around. Hangouts are an efficient way to be noticed. Here, your potential clients would be able to know your company easily. With hangouts, you could even do webinars at any point of time. Along with a traditional text chat system, hangouts offer an outstanding video chat app for you. You can +1 the contents posted by others, in order to get into other circles. However, it does not mean that you would have to go blindly and give +1 to all their posts. You should first be more interactive with them. You would need to be more consistent with the posts. Do not just stick with a specific user or groups. Be frank, honest and sympathetic with the choices. Well, this is somehow tricky. People would recommend you to post in between 9 am to 11:00 am. In this time span, many of the users would have just started to gear up their works, and so they are more likely to check out their Google+. However, it does not mean that this is the best time for posting. Besides, you would have to do a little research to discover when the specific users are set to read you. You can use ‘Timing+’ tool for this. This tool will test your recent 100 posts in order to find out the excellent time to post. Picasa and Google+ have a fine rapport. You could upload your pictures on Picasa, and then choose to share on your Google+. This feature offers an easy way to handle thousands of pictures that you want to share with specific circles. For this, you do not have to create a new account or sign in to your Picasa account. Once you sign up for the Google+, you will be automatically signed up for Picasa as well. Here, you will be provided with multiple options to share your pictures. You can set your android device to sync with Picasa, which saves your time to upload the pictures manually. All these great options are an exceptional way for sharing. A vanity URL helps the users to memorize your Google+ account without any problem. In addition, a short vanity URL address is highly recommended for the PR stuffs and email signatures. You should avoid lengthy addresses wherever possible. To get a vanity URL, you should have minimum 10 followers, have a profile picture, your Google+ account should be at least a month old, and the Google+ should be connected to your company website. The last norm is vital and might be difficult for WordPress users. If you are a WordPress user, you can install WordPress SEO plugin to alleviate the process. Perhaps, Google+ may not be a widely used social networking website, but the features and tools it offers, make a serious choice. To get most from your Google+, you should invest some time and it is worth to spend time on it. At long last, you would wrap up with a number of circles that are truly interested in your brilliance. This entry was posted in new on January 10, 2015 by websitedesign.